Yesterday’s walk took me to the cemetery. It’s been on my list of places to visit for a while. In particular I was looking for my great-uncle’s grave. 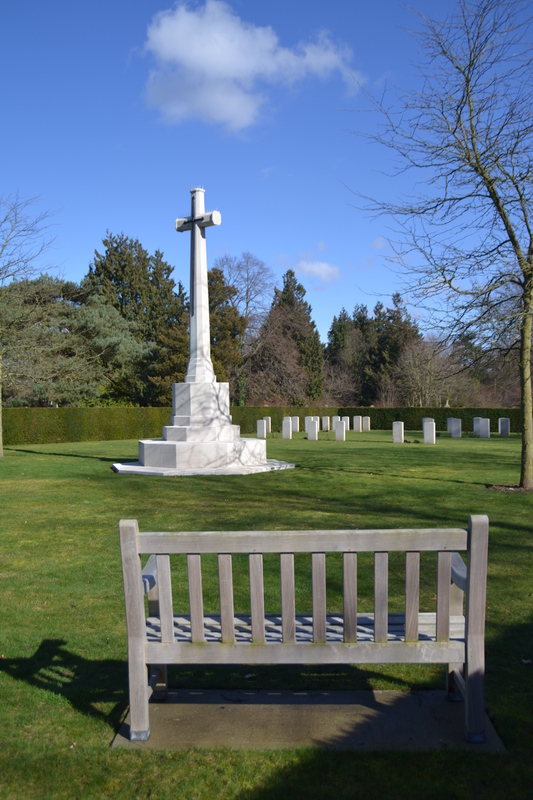 He died in 1920 as a result of illness following his service in WW1 and is buried in the small plot of war graves within the cemetery. As I had my camera with me I decided to wander while I was there and, even though I’ve known this place all my life, I came across one or two surprises. In particular another small memorial garden, this time to remember the victims of the Baedekar raids in April 1942. My city, like others in the UK, was targeted because of its inclusion in the Baedeker guides, as a place of historical interest. 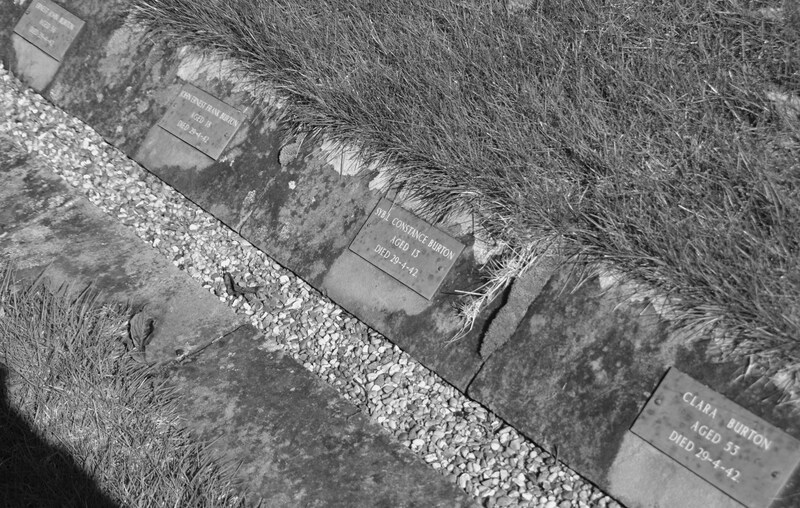 The garden is edged with simple rectangular plaques recording name, age and date of death – poignant memorials to the people who died on those nights. In this case all four plaques commemorate members of the same family. Parts of the cemetery are very old, with many Victorian headstones and memorials. It never bothers me walking around there – it was another favourite Sunday afternoon walk of my Mum’s, and we used it as a shortcut to other parts of the city…. the local hospital being one of our destinations whenever an elderly relative was ill – many of them would end up in the same cemetery! This time, with my ‘camera eye’ I was on the lookout for the quirky, or unusual. 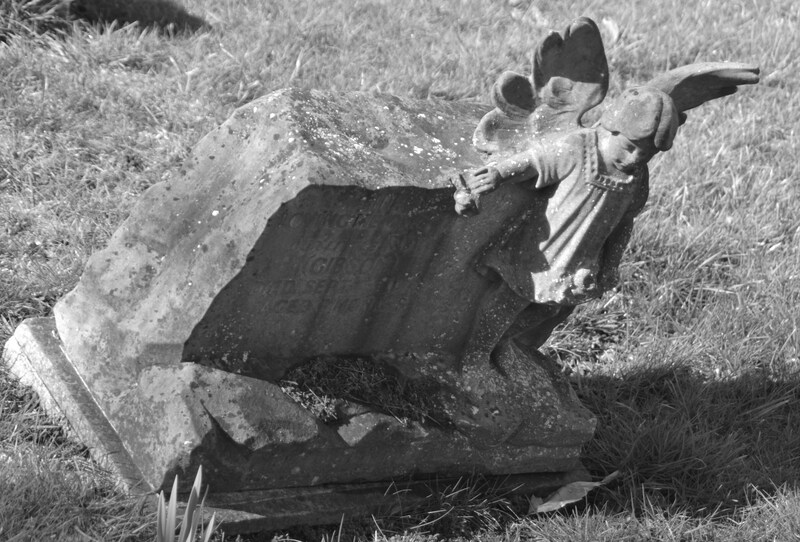 This slightly fallen angel appealed to me – it looks as though it’s hanging on with one hand! Despite the sadness of the place it was impossible to be downhearted. 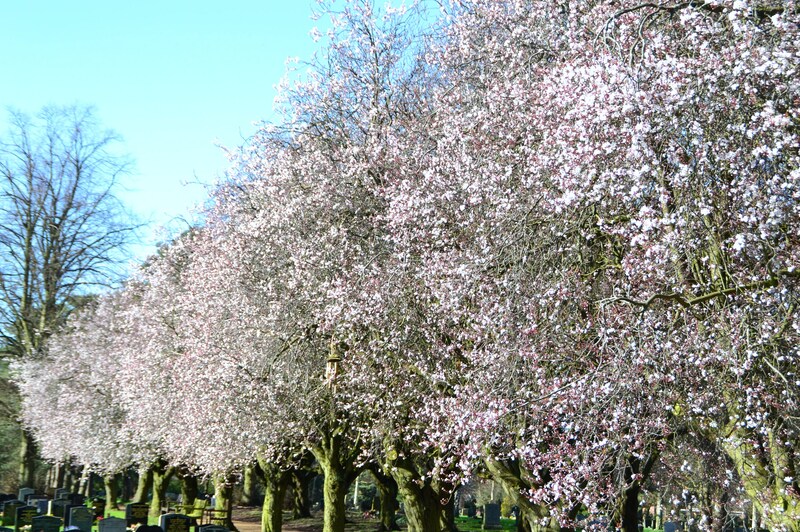 The sun was shining brightly again and the avenues of blossom were magnificent!